Jeff Evans’ Science Magic assembly is an interactive mix of science and magic. Students are exposed to the characteristics of solids, liquids, and gases. The properties of air pressure, static electricity, center of mass, and density are visually demonstrated and explained in a way that makes the concepts fun, understandable, and memorable. 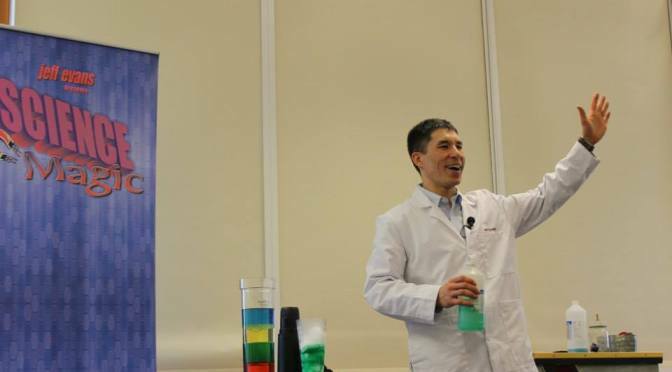 Magic tricks can be explained by science, and Jeff has been fascinated with science experiments and demonstrations since he was a growing up. So, the idea of bringing science and magic together was a natural. His goal is to spread this amazement and desire to learn science on to students. 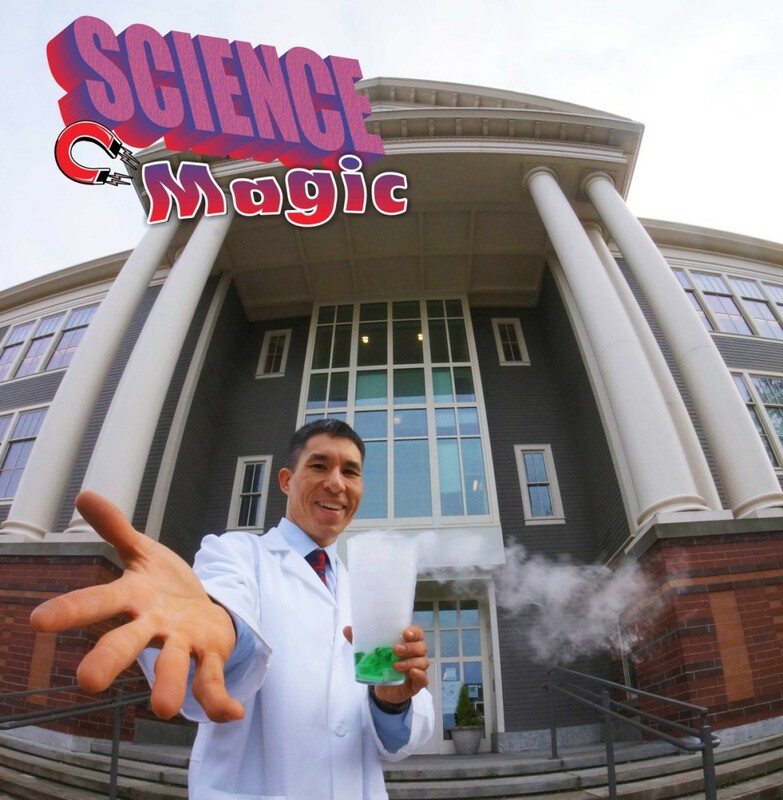 In addition to Science Magic school assembly programs, Jeff Evans also presents reading motivational assemblies and bully prevention programs throughout Washington and northwest Oregon states. Not only do Jeff’s assemblies mesh perfectly with important educational and social messages, they’re also a ton of FUN! He was named Seattle’s Funniest Magician in 2013 and voted Best Live Entertainer by ParentMap Magazine in both 2013 and 2014. His peers in the magic world concur, having presented him with over fifteen first-place awards at magic conventions ranging from sunny California to snowy Calgary. Count on Jeff to bring a top-notch experience to your students that has the “just right” mix of entertainment, inspiration, and motivation. Read this and other client reviews at Yahoo.com and Google+. A full-time pro since 1997, Jeff is seen live by thousands of students each week in libraries and schools. To learn more, call Jeff in Olympia direct at 360-412-5064 or send e-mail to jeff[at]edumazement.com.